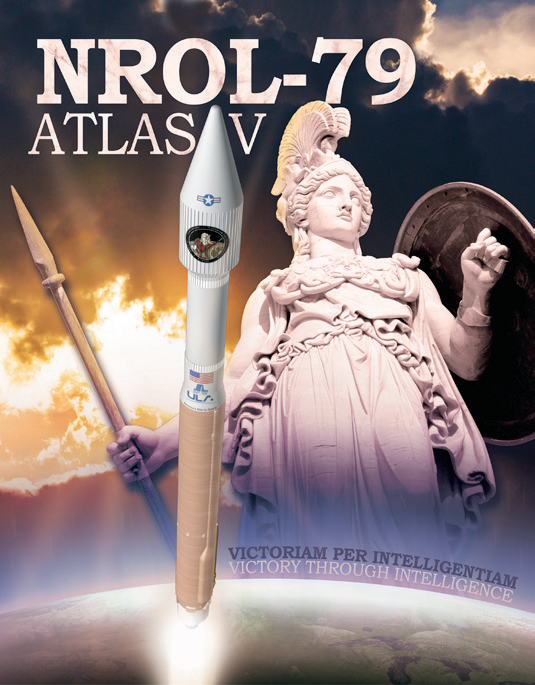 All systems were go—and that's just what occurred when the launch vehicle and satellite went up on a ULA Atlas V rocket on Wednesday, March 1, at 9:49:51 a.m. PST, from Space Launch Complex-3 at Vandenberg Air Force Base in California on a mission for the National Reconnaissance Office (NRO). Aerojet-Rocketdyne's propulsion systems on the Atlas V included the RL10C-1 upper-stage engine, six helium pressurization tanks, and 12 Centaur upper-stage Reaction Control System (RCS) thrusters. The RL10C-1 delivered 22,890 pounds of thrust to power the Atlas V upper stage, using cryogenic liquid hydrogen and liquid oxygen propellants. 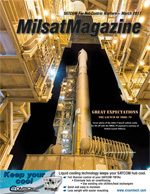 Despite several delays of this launch dating back to January 16, in which an issue involving the second stage of the Atlas V launch vehicle was revealed, such was no longer a challenge for the launch that took place aboard a United Launch Alliance Atlas V 401 basic configuration rocket. What is the NRO? When the United States needs eyes and ears in critical places where no human can reach—be such over the most rugged terrain or through the utmost hostile territory—the government turns to the National Reconnaissance Office (NRO) for their expertise. The NRO is the US Government agency in charge of designing, building, launching, and maintaining America’s intelligence satellites. Whether developing the latest innovations in satellite technology, contracting with the most cost-efficient industrial supplier, conducting rigorous launch schedules, or providing the highest-quality products to customers, the agency never loses focus—the agency works to protect the US and the nation's citizens. From inception in 1961 to declassification to the public in 1992, the NRO works to provide the best reconnaissance support possible to the Intelligence Community (IC) and Department of Defense (DoD). The primary mission is to advance and shape the Intelligence Community’s understanding of the discipline, practice, and history of national reconnaissance. The objective is to ensure that NRO Leadership has the analytical framework and historical context to make effective policy and programmatic decisions. “I am so impressed by the incredible teamwork between the NRO, US Air Force, our industry partners and the ULA team that resulted in today’s successful launch. 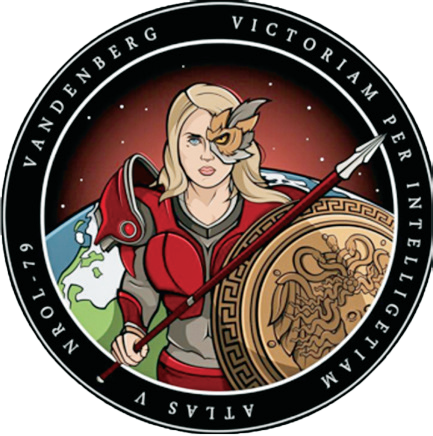 The integrated mission team overcame many challenges, including delays associated with the Vandenberg Canyon Fire last year,” said Laura Maginnis, Vice President, Government Satellite Launch for ULA. “Tragically, Ventura County firefighter Ryan Osler lost his life en route to assist in fighting the fire. We are honored to dedicate today’s mission to Ryan and his family. Thank you to all of the men and women who worked to deliver this critical asset for our nation’s security. This mission, launched aboard an Atlas V Evolved Expendable Launch Vehicle (EELV) 401 configuration vehicle, included a four meter in diameter extended payload fairing. The Atlas booster for this mission was powered by the RD AMROSS RD-180 engine and the Centaur upper stage was supplied by the Aerojet Rocketdyne RL10C-1 engine. This is ULA’s second launch of 2017 and the 117th successful launch since the company was formed in December of 2006. ULA's next launch is the Delta IV WGS-9 satellite for the US Air Force. 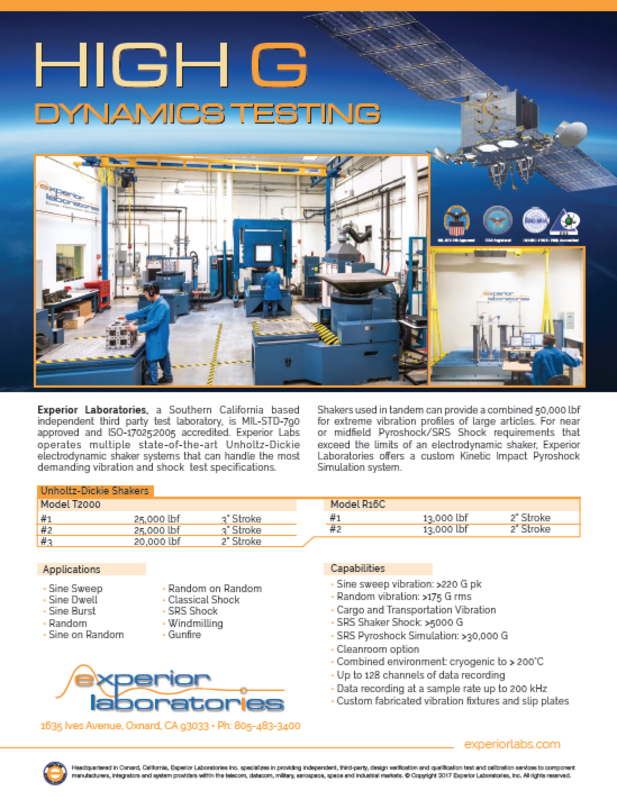 The launch is scheduled for March 8 from Space Launch Complex-37 at Cape Canaveral Air Force Station, Florida. 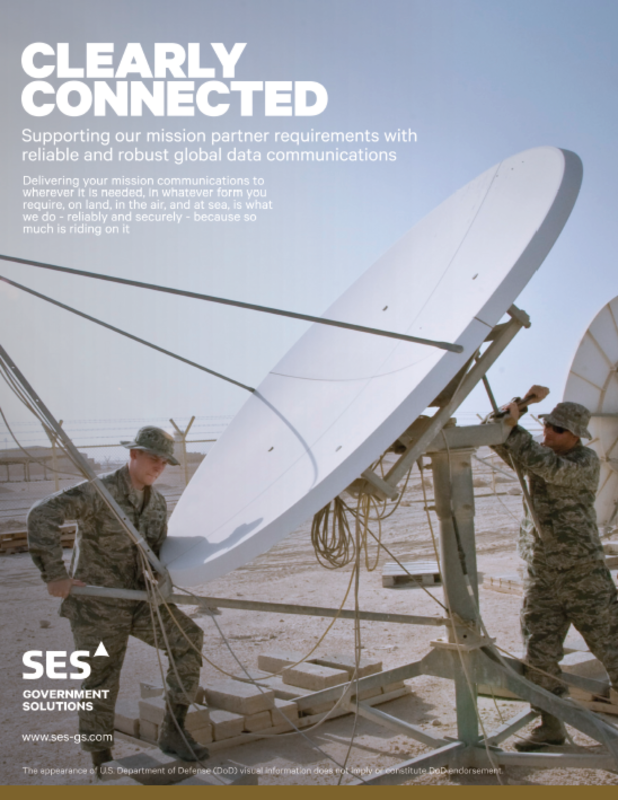 The EELV program was established by the US Air Force to provide assured access to space for DoD and other government payloads. The commercially developed EELV program supports the full range of government mission requirements, while delivering on schedule, and providing significant cost savings of the heritage launch systems. ULA has successfully delivered more than 115 satellites to orbit that provide critical capabilities for troops in the field, aid meteorologists in tracking severe weather, enable personal device-based GPS navigation and unlock the mysteries of our solar system. A huge effort is required to lift these vehicles into space and such an accomplishment for the ULA Atlas V rocket is highly dependent upon the RD-180 engine. The Russian RD-180 main engine delivers more than 860,000 lbs of thrust at liftoff and an impressive range of continuous throttling capability, a main engine that is a powerful combination of innovation and performance. Designed and manufactured by NPO Energomash, the liquid oxygen/liquid kerosene, two-thrust-chamber RD-180 engine is a complete propulsion unit equipped with hydraulics for control valve actuation and thrust vector gimbaling, pneumatics for valve actuation and system purging, and a thrust frame to distribute loads. The rocket, an Atlas V 400, is part of the Atlas V family, which includes the Atlas V 400 and 500 series, and is the latest evolutionary version of the Atlas launch system. Atlas V uses a standard common core booster™ (CCB), up to five strap-on solid rocket boosters (SRB), an upper-stage Centaur in either the Single-Engine Centaur (SEC) or the Dual-Engine Centaur (DEC) configuration, and one of several payload fairings (PLF). A three-digit (XYZ) naming convention is used for the Atlas V 400 and 500 series. The Atlas V 400 series incorporates the flight proven, 4 meter in diameter, 12.0 meter (39.3 ft) large payload fairing (LPF), the 12.9 meter (42.3 ft) extended payload fairing (EPF), or the 13.8 meter (45.3 ft) extended EPF (XEPF). Spectra Group UK has further enhanced its innovative SlingShot® product by unveiling new features that are destined to enhance the product's growing popularity as a key asset in the modern battlefield. Recently referred to by a specialist user as "a game-changer," SlingShot converts in-service VHF and UHF tactical radios to L-band for robust, reliable and cost-effective Beyond Line of Sight (BLOS) Communications on the Move (COTM), using Inmarsat's L-TAC™ satellite service. 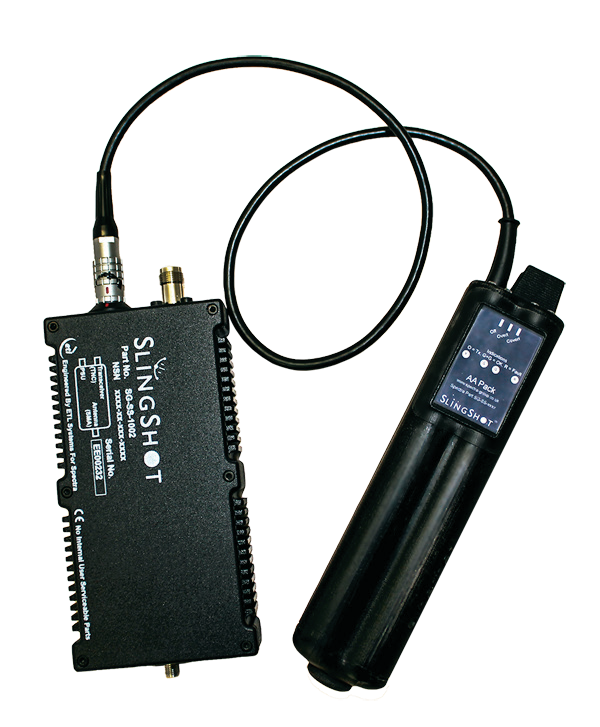 With the ability to extend the secure net over thousands of miles, to connect dismounted, mounted and air and seaborne personnel to each other and to HQ, the already flexible system has been further improved with new power options and the launch of the SlingShot TLT (Test Loop Translator), an L-Band emulator for full offline system testing without a live satellite channel. SlingShot’s new power options deliver increased flexibility and even simpler configuration making deployment planning and set-up even easier. The new power upgrade introduces a universal power supply—UPSU—that streamlines the system, with more flexible power supply options and intelligent power delivery plus an enhanced troubleshooting light reporting system. There is also now available an AA battery cassette to power a full manpack system. iDirect Government (iDirectGov) had debuted their high-speed 9-Series Airborne Satellite Remotes which will provide enhanced functionality in a variety of form factors to enable government organizations to use the best options for military missions. Whether coordinating with ground elements, transmitting high-definition intelligence, surveillance and reconnaissance (ISR) video or conducting inflight mission planning, the 9-Series airborne product line is fast, secure and efficient. The 9-Series, which includes the 980 Airborne Satellite Router Board, the 9800 AE (ARINC 600 enclosure) and the 9800 AR (1RU enclosure), delivers as much as 45 Msps downstream and as much as 29 Msps upstream. These products incorporate transmission security (TRANSEC), designed to meet Federal Information Processing Standards (FIPS) 140-2 Level 3 and AES 256-bit link encryption standards. Acting as the “bad guy,” space aggressors deny operators use of their capabilities like GPS and SATCOM in order to train warfighters how to operate in environments where critical systems are interfered with or completely negated. The space aggressors target two frequencies—L1 and L2—from the ground—they need to be local in order to accurately affect the training audiences’ receivers, otherwise it will affect all signals within range and interfere with entities not participating in the exercise. Story by Maj. Jessica D'Ambrosio, 926th Wing Public Affairs, USAF. The expectation is that US space systems will face an increasingly wide range of man-made threats in the next 20 years capable of causing both reversible and irreversible effects. To fight through the increasingly complex environment with growing and increasingly diverse threats, we will continue to improve the mission assurance of our space capabilities by developing multi-domain defensive systems and responsive tactics, techniques, and procedures. USAF Battle Management Command and Control (BMC2) capabilities must evolve because today’s C2 functions, infrastructure, organization and training do not yet deliver the real-time capability commanders need to synchronize execution and fight on tactical timelines. The response to threats must be agile and ensure AFSPC’s organize, train, and equip (OT&E) activities are informed by well-documented and clear authorities, roles, responsibilities, command relationships and warfighting requirements. 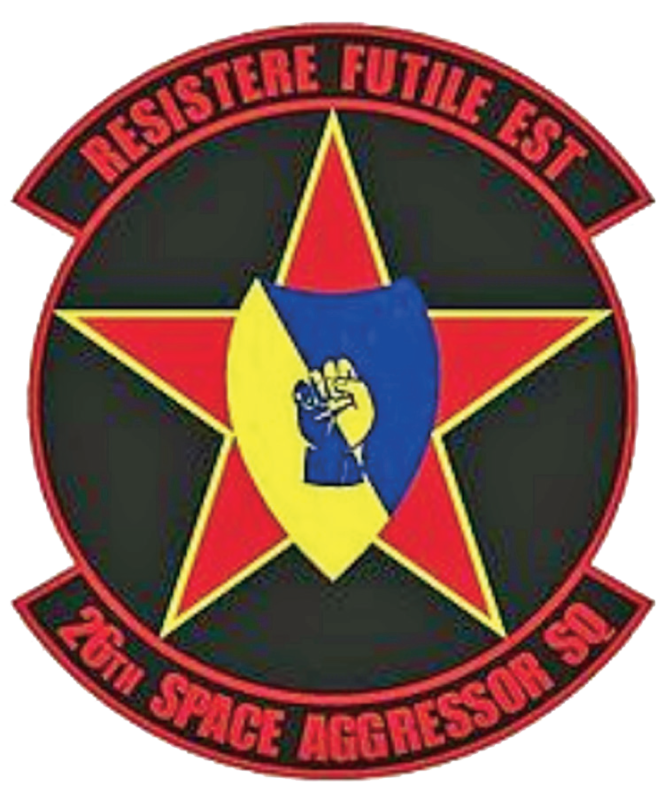 This increasingly hostile space threat environment means that a space warfighting force must be capable of deterring or fighting through adversary actions to deliver required space effects in support of the Combatant Commander. The AFSPC commander’s Space Enterprise Vision identified the development and employment of a BMC2 system as a foundational pillar to transforming the space mission enterprise to meet future challenges. 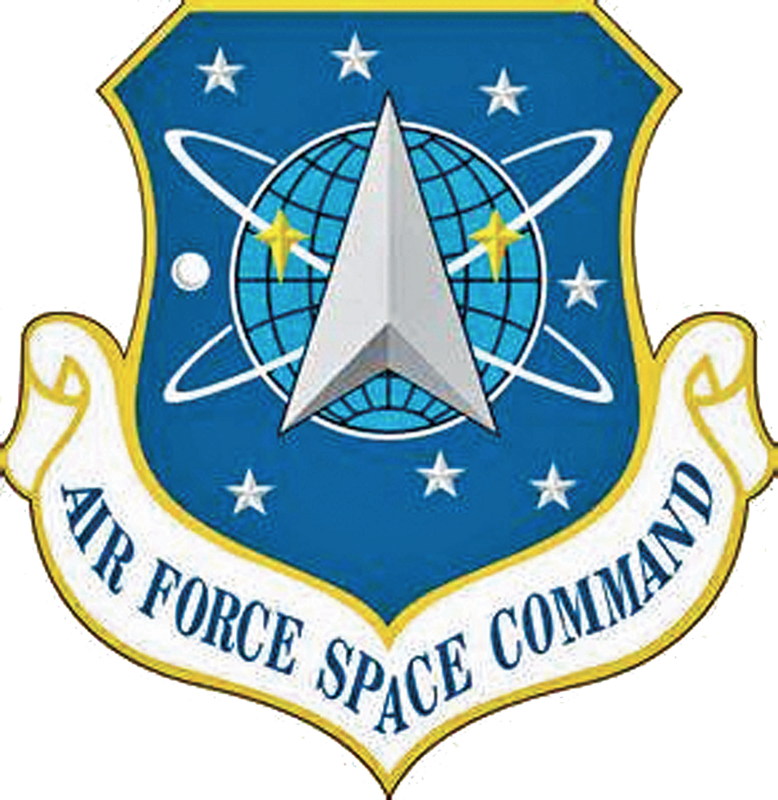 A BMC2 system with the capability to manage the fight on tactical timelines is one of several ongoing AFSPC efforts aimed at integrating a warfighting mentality into space mission operations and creating a space mission force construct. A specialized National Security technology company that provides mission critical products, solutions and services for the US, Kratos Defense & Security Solutions, Inc., has announced they have developed new ground system capabilities to help operators respond to a changing satellite environment. 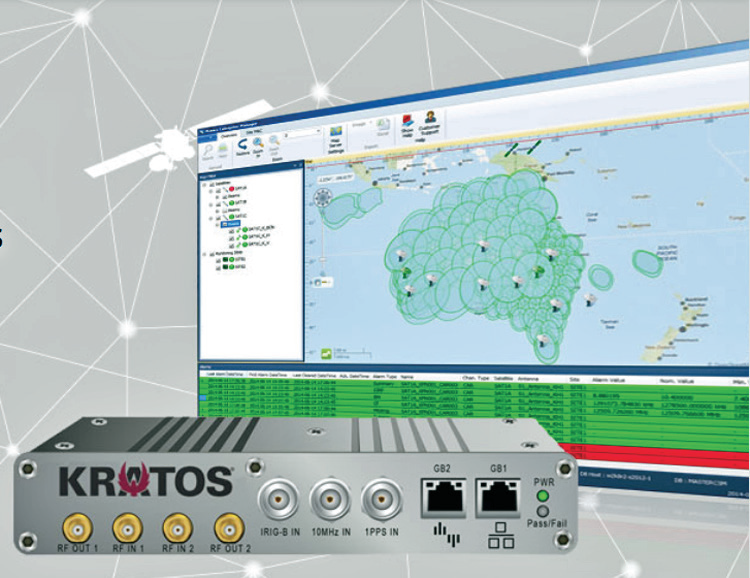 New technology from Kratos enables operators to scan, identify, locate and resolve VSAT generated interference in minutes. Dramatic growth in satellites and throughput are driving changes to gateway design and management. Kratos' new approaches to ground system design, operations management and antennas can help operators reduce CapEx and OpEx. Hundreds of spot beams from hundreds of HTS require a new approach to beam monitoring. 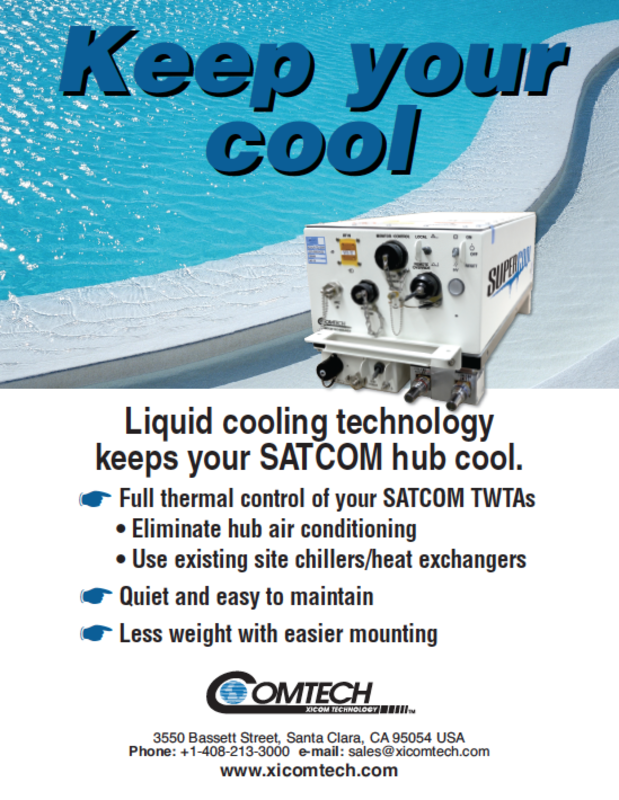 The solutions are all part of Monics 200, a fully-featured, cost-effective sensor for High Throughput Satellite (HTS) spot beam monitoring that can be cost-effectively integrated back to a central monitoring center.